Each type starts with two underscores, an m, and the width of the vector in bits. If a vector type ends in d, it contains doubles, and if it doesn't have a suffix, it contains floats. An integer vector type can contain any type of integer, from chars to shorts to unsigned long longs. That is, an _m256i may contain 32 chars, 16 shorts, 8 ints, or 4 longs. These integers can be signed or unsigned. <bit_width> identifies the size of the vector returned by the function. For 128-bit vectors, this is empty. For 256-bit vectors, this is set to 256. 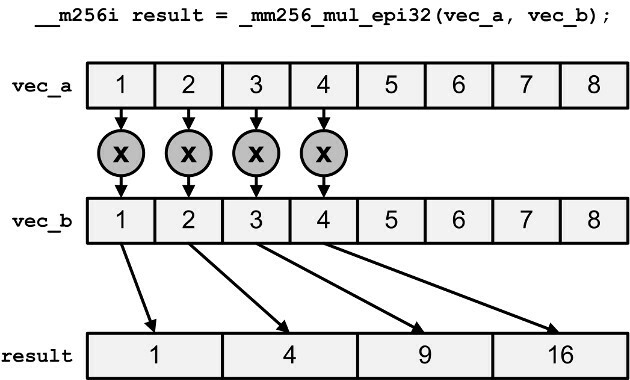 A data type represents memory and a function represents a multimedia operation, so the AVX data types start with two underscores with an m, AVX functions start with an underscore with two ms . The last two functions are preceded with (2) because they're provided by AVX2, not AVX. Each _mm256_load_*intrinsic accepts a memory address that must be aligned on a 32-byte boundary. Functions that take saturation into account clamp the result to the minimum/maximum value that can be stored. Functions without saturation ignore the memory issue when saturation occurs. This may seem strange to add and subtract elements horizontally, but these operations are helpful when multiplying complex numbers. 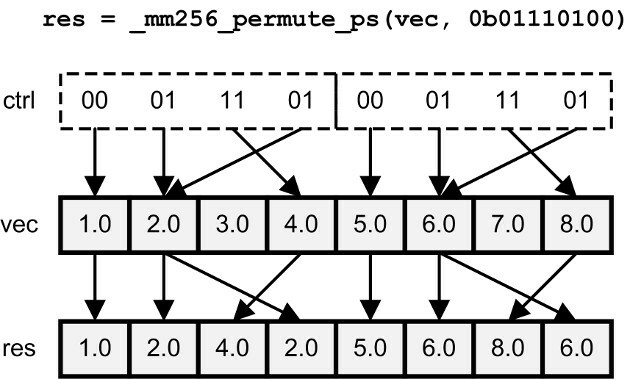 _mm256_addsub_ps/pd, alternately subtracts and adds elements of two floating-point vectors. That is, even elements are subtracted and odd elements are added . This image is WRONG !!! Please read the reference from this manual. 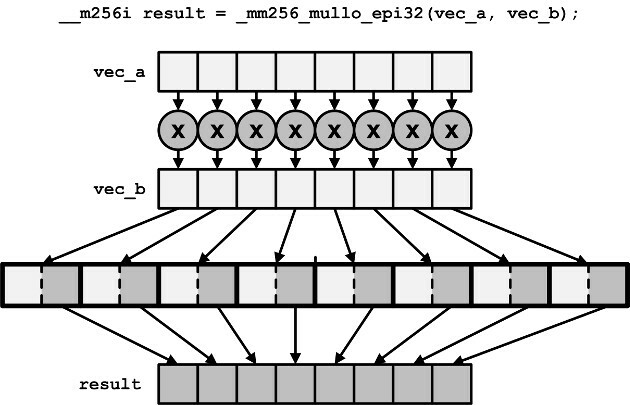 Only the four low elements of the _mm256_mul_epi32 and _mm256_mul_epu32 intrinsics are multiplied together, and the result is a vector containing four long integers. 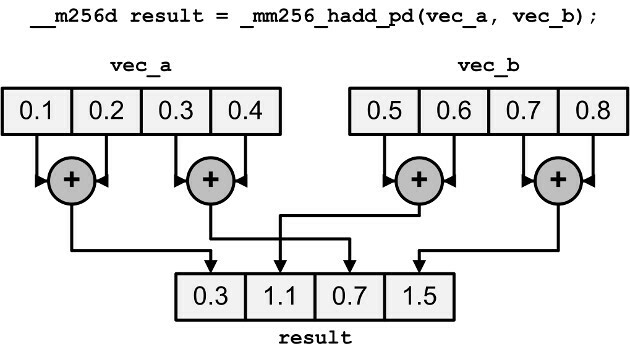 For _mm256_shuffle_pd, only the high four bits of the control value are used. If the input vectors contain ints or floats, all the control bits are used. For _mm256_shuffle_ps, the first two pairs of bits select elements from the first vector and the second two pairs of bits select elements from the second vector. All the content above is an arrangement of this web page, so the article, along with any associated source code and files, is licensed under The Code Project Open License (CPOL). Using iptables NAT to let server act as a router.